It is not surprising that the recent Conference of the States Parties to the Convention on the Rights of Persons with Disabilities held at the United Nations in New York on June 14-16, did not hit the headlines. This is the real problem with disabilities all over the world, including Nepal, where issues related to over a billion people in the world, all living with different disabilities, are treated as stand-alone, isolated from other social problems. Culturally speaking, it is an “apartheid-like” approach to disabilities that instead of mainstreaming them within the broader development discourse, it keeps them insulated as if it were of interest only for a minority of world citizens and few experts. Maybe things are changing on paper. After all the 2030 Agenda for Sustainable Development and the seventeen related Global Goals For Sustainable Development signal a turnaround in how economic, social and political barriers faced by persons living with disabilities are tackled. Hopefully this is a new beginning but to really succeed in mainstreaming disabilities, we also need a change of mindset and behaviors of disability experts and activists all over the world. Now that the concept of “Nothing about us without us” is getting ingrained among policymakers, it is important for activists dealing with disabilities issues to do a better job of reaching out to other sections of the society. We need to build new alliances and win the trust of those in key positions not only in the government but especially within the corporate sector based on a new narrative that highlights the equal potential and capacities of persons with disabilities. Real changes for those living with disabilities and, equally important, for their families will only happen when more “outsiders” automatically and unconsciously start thinking of a person not because of her wheelchair or white cane but because of her potential and abilities. Any new conversation will need to be based on a clear but also ambitious agenda to uplift the living conditions of all persons with disabilities, including those with development and intellectual conditions, who are normally cut out of meaningful debate. In a country like Nepal, the national manifesto could be: “An Agenda of National Interest: Unveiling the hidden potential of persons living with disabilities”. The blueprint could cover several issues, starting with a campaign to enact the revised Disability Act that has long since gathered dust in the Prime Minister’s Office. 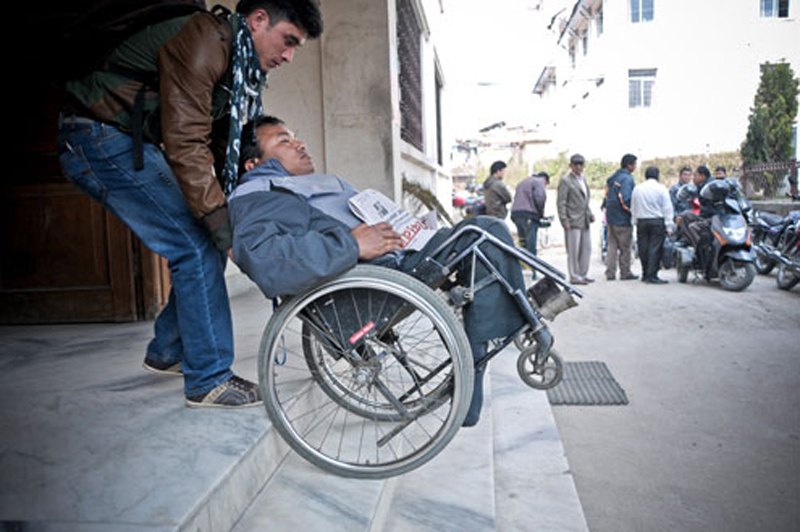 I am still amazed that there is no special provision for those who became disabled during the earthquakes. Hundreds of them are left alone as their families are struggling to provide the best care and support. The praiseworthy effort of non-profit organizations, who tried to fill in the vacuum, is not enough. It is imperative that the State provides special compensation package to those citizens and their families. I am not only referring to a financial package but also to tailor-made vocational and training support for them with seed funds to start income-generating activities. As we are not all born entrepreneurs, the private sector should step in with a special national apprenticeship program, offering “on the job” trainings and paid internships. In the same way that a family that lost its house has the right to special help, it should be the same for those families with one of their beloved members living with disabilities. Non-profit organizations could also make it a point to employ persons with disabilities. 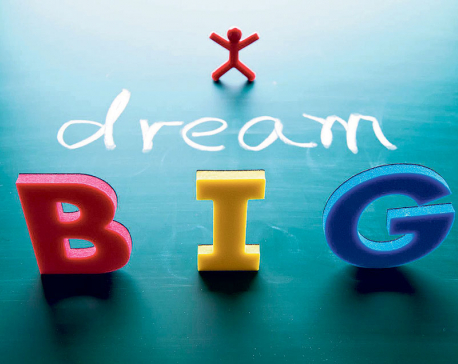 There is a recent interest from many quarters on vocational and technical studies. The Ministry of Education has been promoting them within many students not interested in joining formal undergraduate studies. Why not bring special measures to include youths with disabilities, not only those with physical impairments but also those with development and intellectual issues? The recent budget, whose implementation is now uncertain, offered a ray of hope when it increased the monthly allowance for elders and persons with disabilities. Yet as groups representing old people have rightly claimed, any meaningful social protection allowance should be worth at least Rs 5,000 a month. For this to happen we need to put disabilities at the center of any debate on social inclusion. Only then will we build a truly cohesive and just country. With political will, inclusive campaigning and smart coalition building across the political spectrum, persons with disabilities can expect a better tomorrow, not only in the US but also in Nepal.